Instead, see more of what you want to see, and make the most of the time you have. 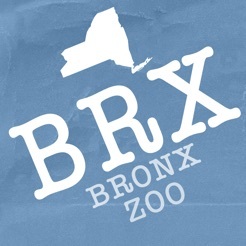 Zoo Explorer - Bronx Zoo is a wonderfully simplistic interactive map solution and easy way to navigate you and your family conveniently around your favorite zoo. 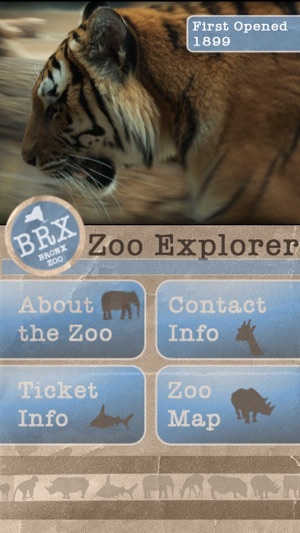 Select the GPS button and instantly see your exact location within the zoo, or start walking and you move within the map. 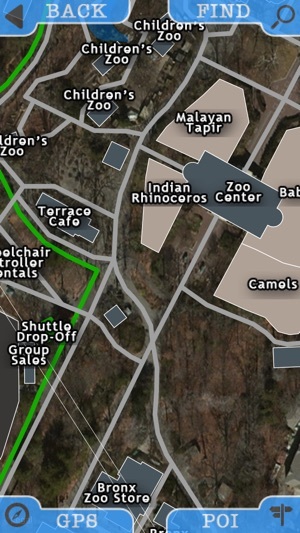 It was so much fun using this app...it showed me exactly where you were in the zoo. I had a bathroom emergency with my little girl and having the GPS on I knew exactly where the nearest restroom was and it saved my day - if you're a parent you know what I mean. I highly recommend buying this app! Saved a lot of time taking shortcuts walking through the zoo worth the .99 cent just for that. 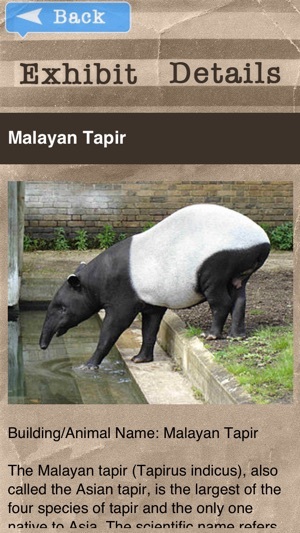 Can't wait for these guys to do more zoo's...which I found out that they are doing all the major zoos. Doesn't work as a GPS guide around the park. 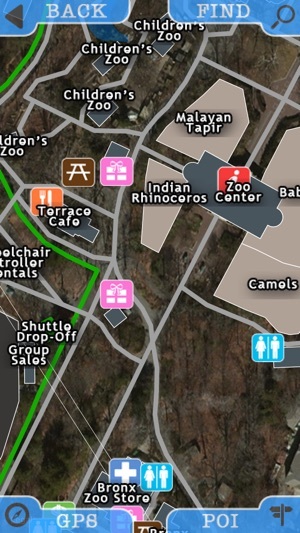 The app pulls your current location and shows you on a map, but fails to navigate you to the place you specify in the zoo. 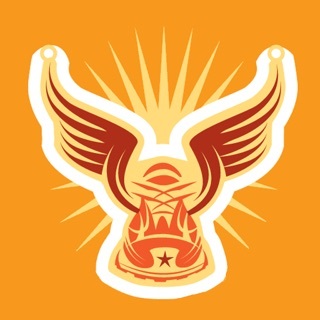 Your icon just sits on the map and doesn't move. 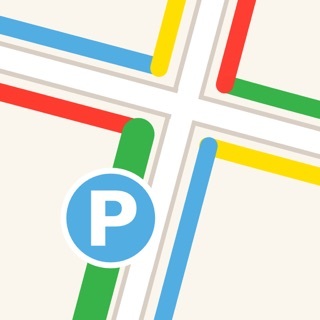 This wouldn't be so bad as it wouldn't be a total waste, but it doesn't even show the location you search for on the map so you can't even use it as a, "You are here" basic map. This app is useless don't waste your money. Btw I also checked out reviews for other zoo navigation apps by this developer and all the reviews are left by the creator of the app. What a scam! Did they let a 7 year old label the map? Just downloaded the app and was playing around with the map... "Wolf's"? You mean "wolves"? The same thing with "giraffe's" and "zebra's" (should be "giraffes and zebras). Also, antelope is spelled wrong. 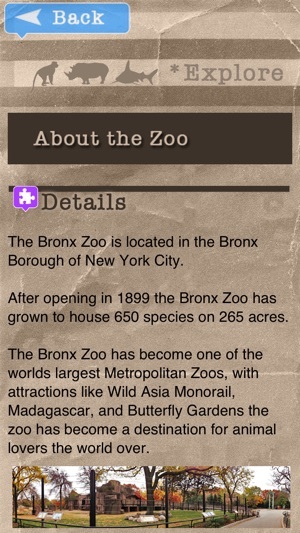 The app seems like it will be helpful, but for a paid app with the Bronx Zoo's name on it, it should be up to a better standard.